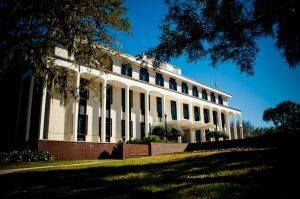 The City of Ocala is built upon, or near, what some believe was the site where the historical Timucua village and chiefdom of the Ocale (Ocali) was located in the 16th century. Taking its name from the historical village, Ocala is thought to mean “Big Hammock” in the Timucua language. Hernando De Soto’s attack may have been responsible for the tribal site being abandon, or wiped out, as there is no further mention of the village apparently. Fort King, the U.S. Military Outpost in the Ocala area, was established in 1827 to act as a buffer between the Seminoles and the Settlers. 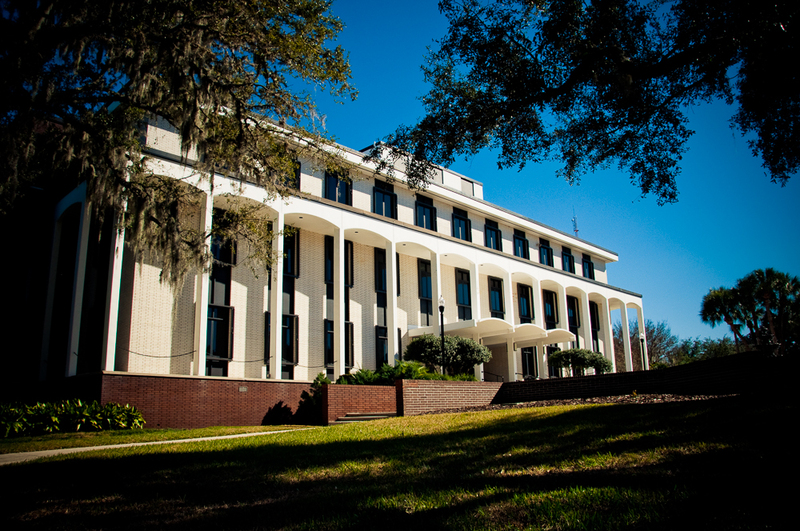 It was used in the Second Seminole War, and was later used as the first courthouse in 1844 for Marion County. In 1846, Fort King would soon become the foundation of the newly established, “City of Ocala,” also known as the “Kingdom of the Sun”. In 1881, the rail service reached the City of Ocala, and spurred economic development to the area. On Thanksgiving Day in 1883, most of Downtown Ocala, built with wood, was destroyed by a raging fire. The Downtown Ocala area was rebuilt using brick, granite and steel, and was known as “The Brick City” after it was finished in 1888. The City of Ocala, FL, became the center for tourism in Florida with attractions like; Silver Springs, Wild Waters and what used to be a western-themed attraction, Six Gun Territory. The Silver Springs attraction is nestled around the headspring of the Silver River, which is the largest artesian spring in the World. When Carl G. Rose came to Florida in 1916 to oversee the first asphalt road constructed in Florida, the company ran into problems with the asphalt. The problems were fixed using limestone, which is an abundant Florida resource. Rose knew that limestone is a good source of nutrition for raising horses so he bought land along State Road 200 in Ocala, FL, in 1943, and built the Rosemere Farm. The following year, one of his horses became the first Ocala, Florida-raised thoroughbred to win a Florida race held at Miami’s Tropical Park. Bonnie Heath soon followed in his path and produced Florida’s first Kentucky Derby winner from his thoroughbred farm in Ocala. With many horses, from the Ocala area, winning races from the Kentucky Derby to the Triple Crown, and with more than 1,200 horse farms, Ocala and the Marion County area quickly became known as the “Horse Capital of the World!” A title given to only five cities, permitted under the Chamber of Commerce guidelines, based on annual revenue produced by the horse industry. Ocala’s Historic District was established in 1984 to preserve the many historic homes in the area of East Fort King Street. We certainly hope you will take some time to read more about the City of Ocala, or better yet, come for a visit! Our Downtown Ocala area will give you that small-town feeling, while the Greater Ocala area will offer much more. If you are thinking about relocating to Florida and would like further information, you can request it from the City of Ocala’s official website. Visit the official City of Ocala website!